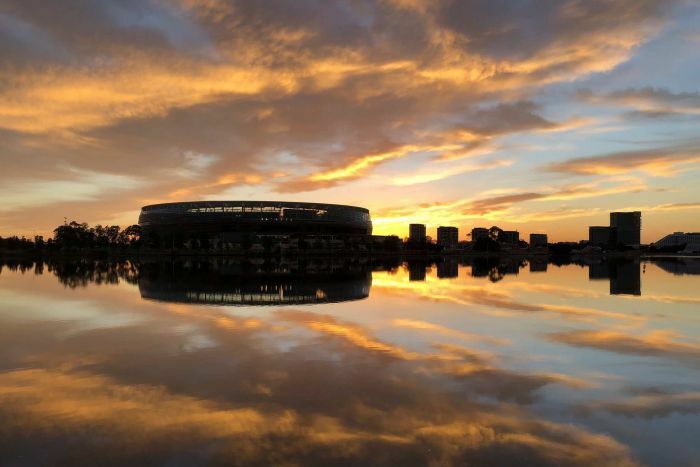 Perth Stadium: Is banning full-strength beer a responsible move, or just more ‘nanny state’? 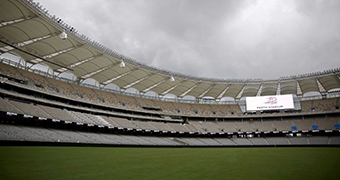 Was the decision to prevent punters from buying full-strength beer at Perth Stadium a responsible move to limit excess drinking, curtail anti-social behaviour and ensure WA families can enjoy elite sport in a safe and friendly environment? Or was it another example of people being told what they can and cannot do by overbearing authorities, who have whittled away personal freedoms and cemented WA’s status as a ‘nanny state’? Well, the answer depends on who you ask. But, without doubt, the limitation to mid-strength beer for regular punters at the stadium has elicited unhappy responses from many people. The fact that those in the most expensive areas in the stadium — such as corporate boxes — get the chance to drink full-strength beer, while people in the cheaper seats can only drink mid-strength, only added to that resentment for some punters. What’s a $1.6b stadium worth? It’s cost every WA household $1,500, but is the new “world class” Perth Stadium going to deliver bang for the buck? Some are upset enough that they started an online petition, calling on authorities to give them the choice to drink whatever they want. Others took to social media to express their unhappiness. “Fair go #wa talk about a pathetic nanny state?? For God’s sake grow up people!” one Twitter user stated. The reaction came just a few months after Premier Mark McGowan fuelled controversy by suggesting people in corporate boxes also should not have access to full-strength beer. The response to that was strong enough that Mr McGowan quickly backtracked. Those unhappy at this week’s decision found at least one ally in politics — in Liberal Democrat MP Aaron Stonehouse, who said the “self-appointed fun police” were ruining things for the rest of society. “This is our new, premier, billion-dollar stadium and we really should be offering a full service,” Mr Stonehouse said. However, there are some important aspects which should be kept in mind for context. Firstly, WACA members at cricket games at Perth Stadium will be able to drink full-strength alcohol in their section — just as they can across the river. These arrangements are actually the same as those in place now for football at Subiaco Oval. Furthermore, the decision was not that of the State Government — it was made by the independent Director of Liquor Licensing. And the director’s decision was not made all that complicated, because the stadium operator chose not to apply for the right to sell full-strength liquor to average punters. But all of those will be minor points for people who just wanted the chance to enjoy a full-strength beer while watching the football, as they can at some other venues around the country. Tourism was also cited as a key justification for taxpayers forking out $1.6 billion for the new stadium, but it is likely that some interstate and international visitors will be left frustrated at not being able to make their own choices when it comes to drinking. Plus, plenty of other restrictions besides the full-strength ban limit the ability of punters to drink to excess at stadiums. For example, forget about going to the bar on your own to buy a premixed bourbon or scotch — even mid-strength — for you and your two mates. But, according to the deputy premier, the positives of the full-strength ban comfortably outweigh any negatives. “People don’t go to the footy to drink and, if they do, they shouldn’t be there,” health minister Roger Cook said. “Governments have to make decisions that protect everyone at that event. The full-strength beer decision comes as the State Government mulls another potentially controversial liquor restriction — its proposed alcohol floor price to prevent the sale of extremely cheap booze. But the stadium beer debate should have left decision-makers in no doubt about how contentious restrictions on alcohol can be. If they need additional evidence, they need not look further than former New South Wales premier Mike Baird, whose lockout laws drew a furious response from sections of society. That potential for backlash is something the WA Government will have to weigh against if it continues to believe that limiting the supply of cheap booze makes for a strong public health argument.